Glasgow-born Andy Scott says his interest in statues and sculptures started at a young age. His dad, who was a draftsman, would encourage him to admire the buildings, statues and sculptures of Glasgow and take him to locations such as Kelvingrove Art Gallery & Museum and Queen’s Cross Church in Maryhill, as well as buildings designed by Charles Rennie Mackintosh. Andy loved making things and drawing and particularly remembers being inspired by a bronze sculpture called Spirit of St Kentigern by Neil Livingston, a divisive abstract piece which stood on Buchanan Street for many years and can now be seen at the City of Glasgow College City campus. He went on to graduate from Glasgow School of Art in 1986 with a BA (Hon) in Fine Art Sculpture and Post Graduate Diploma. He has developed a distinct style which combines traditional sculpting techniques with newer methods of fabrication to build up a sculpture. "I’m very much a son of Glasgow, and I’m very proud of that. The history of the city. I can’t put my finger on what it is – I just love it. I love the atmosphere". Andy was inspired by Chuck Close, an American artist who creates realist portraits by painting thousands of dots. These individual components combine and result in a larger image, much like Andy’s steel work which involves welding small pieces of steel together to create large sculptures. Andy’s breakthrough piece was the Heavy Horse, a steel structure which is seen by thousands of people each day, due to its prominent position by the M8 near Easterhouse. An Associate of the Royal British Society of Sculptors, he has now produced over 70 works of public art, both in Scotland, and across the world. "I always research the social history of the areas, the industries, the people, the past, the future". Andy Scott’s work is always deeply rooted in the landscape, taking in to consideration the people, heritage and future of an area, and is designed to create layers of meaning and a sense of ownership amongst the local community. One artwork which illustrates this perfectly is perhaps his most renowned – The Kelpies at The Helix park in Falkirk. These two 30 metre high braying horses’ heads have dominated the landscape since 2013. Named after the Scottish mythological water horse, the kelpie, and modelled on Clydesdale horses which were once so central to Scottish industry, these enormous artworks were on a grander scale than anything Andy had worked on before. Andy first made smaller macquettes and then used laser technology to create 3D patterns so that the larger structures would be exact replicas. "There’s something about Scotland that just drags you back. It’s where I belong". Standing by the eastern edge of the Forth & Clyde Canal and just off the M9, The Kelpies are the largest equine sculptures in the world. They are the centrepiece of The Helix, a modern park in central Scotland with 27 kilometres of pathways, fun things to do for kids, wetlands and young woodlands. The Kelpies have become a national landmark, and even featured in an IRN BRU advert and in The Beano, so it’s safe to say that they have special place in Scottish culture. Discover more about Andy Scott. 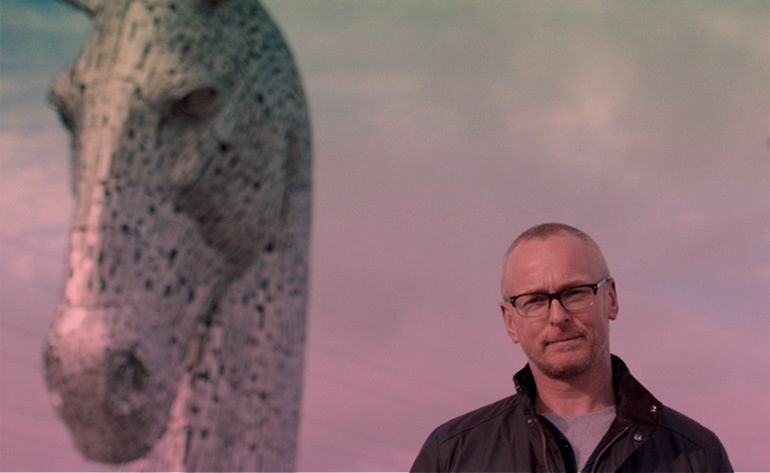 Andy Scott’s other Scottish works are often created in areas undergoing wider rejuvenation, and always developed in consultation with the local community. Fans of his work can see his sculptures across the country, and there is even an Andy Scott Public Art Trail in Alloa, North Lanarkshire and Clackmannanshire. The trail in central Scotland takes in six steel sculptures in the shadow of the Ochil Hills, as well as Arria in Cumbernauld, North Lanarkshire. These uplifting pieces are inspired by local life, with This Journey’s End marking the opening of the new Clackmannanshire Bridge, Fox Boy representing local young people both past and present, and River Spirit highlighting the important role that the River Forth has played in the area. Further Scottish works by Andy include Rise in Glasgow, the Lomondgate Stag in Loch Lomond & The Trossachs National Park and Leopard in Aberdeen. Each sculpture is created using Andy’s signature steel techniques, and due to the way they are created, can appear almost transparent in certain lights, appearing almost magical.